During the 1700's, Sandakan was a trading outpost of the Sulu Sultanate and an important source of beeswax, rattan canes and edible bird's nests which is relished by the Chinese communities throughout Asia. As the power of the Sulu Sultanate declined during the second half of the 1800's, German and British traders formed the first European settlement in the area which came to be known as Kampung German or "German Village". When Kampung German was accidentally razed to the ground, the first Resident of the East Coast, an Englishman named William B. Pryer, decided to relocate the settlement to the mouth of Sandakan Bay near Sim Sim on 21st June, 1979. 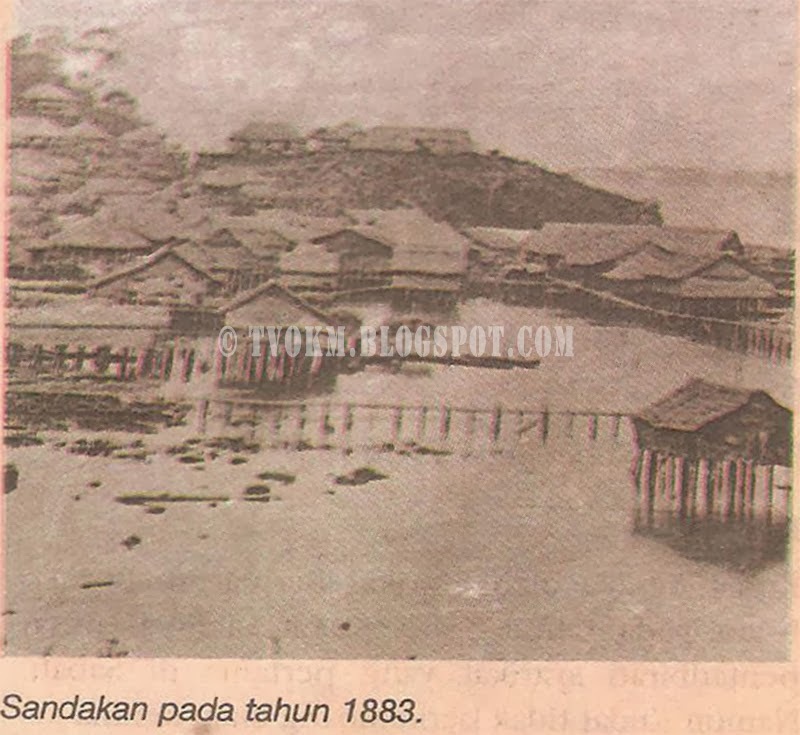 Pryer named his new settlement Elopura or "Beautiful City" but soon the name Elopura was replaced by Sandakan, which is Sulu in origin, meaning "the place that was pawned". The settlement was rapidly growing as a major trading post for the region and eventually Sandakan became the capital of Sabah (then known as North Borneo) when the British Government appointed The British North Borneo (Chartered) Company as the administrator of Sabah in 1881. Modernization came to Sandakan during the early 1900's with the building of brick shops with corrugated iron roofs. Roads were metaled and motorcars made their appearance. Sandakan saw its first film show in 1912 and Chinese operas were also introduced during this era. By 1923, Sandakan had already installed automatic telephone exchange; even before Hong Kong and progressive town with well-lined shops, banks and pleasant looking wooden houses at the town centre. The Japanese occupation of Sandakan during the Second World War Started on 19th Octobober 1945 when it was liberated by a Brigade of the Australian 9th Division. At the end of the war, Sandakan was near disintegration, partly because of the Allied bombing in the process of liberation and the Japanese burning of the town. In 1946, Sabah officially became a British Colony and the capital was shifted from Sandakan to Jesselton (now Kota Kinabalu). Although Sandakan was no longer the centre of administration for the state, it remained as the economic capital of Sabah for many years to come. 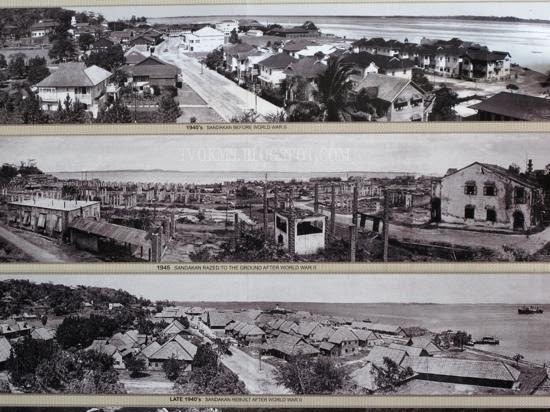 After the war, Sandakan town was rebuilt at a fast rate and by 1948, nearly the whole town site had been re-built. Shops were quickly opened for business as the population tried to get back to its pre-war life in spite of the hardship and scars of the war where many of the locals perished. On 16th September 1963, British North Borneo joined the Federation Of Malaysia and changed its name to Sabah. By the late 60's and 70's, the skyline of Sandakan had started having high-rise buildings. During the timber boom of the 1970's, Sandakan once again captured the limelight with reportedly having the highest concentration of millionaires in the region; earning the tag name "Little Hong Kong" due to the Chinese population, landscape and prosperity. Of late, tourism has emerged as a major industry to Sandakan because of its abundance of nature and wildlife. In 2004, Sandakan was declared as the "Nature City of Sabah, Malaysian Borneo" and set to be the prime eco-tourism destination in Malaysia. Over its hundred years of history, Sandakan has developed from a gun-running village to become the timber centre of Sabah during the 60's and 70's. From a settlement on the lookout for pirates, it now has buildings rising high from its skyline and the development of the new waterfront at the town centre is bringing Sandakan to another milestone in its colourful history.